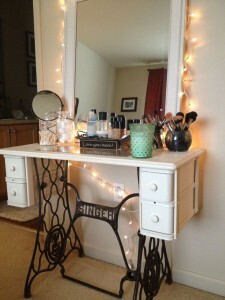 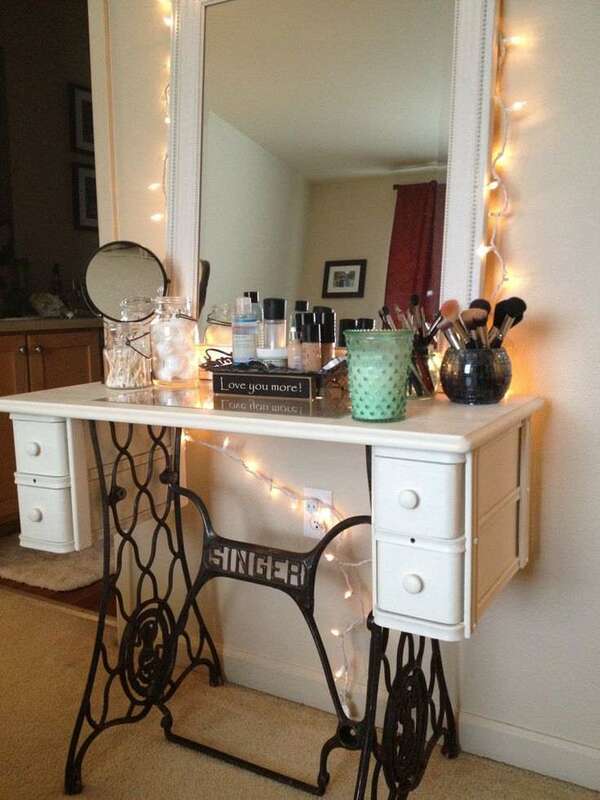 Amy at A Blossoming Life gave a makeover to an old sewing machine stand and converted it into a beautiful nightstand that is adorning her room beautifully. 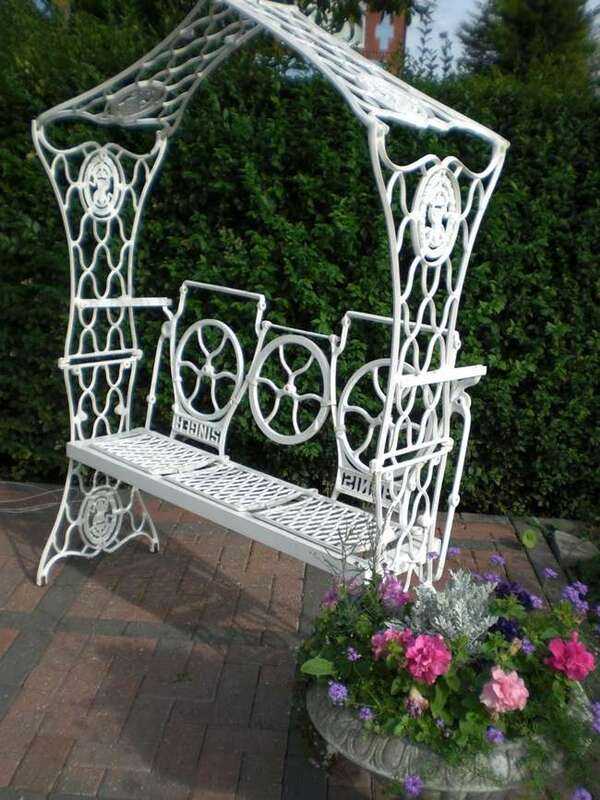 Jean at Jean’s Muse has got this amazing garden bench that is skillfully made from welding together three stands of old sewing machines. 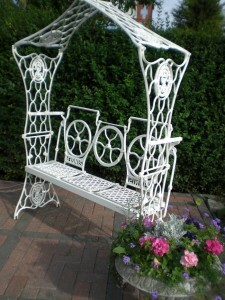 The white color of this bench is looking so classy against the green backdrop of plants. 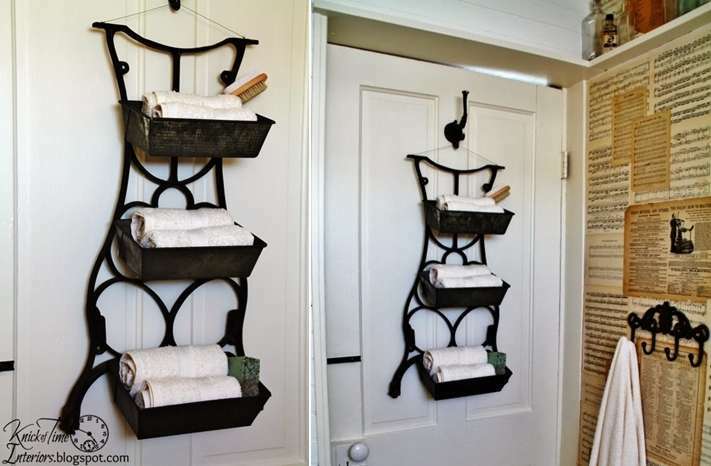 Angie via Knick of Time with the help of her husband recycled a leg of sewing machine and attached bread pans and created these wonderful wall bins that store rolls of towels. 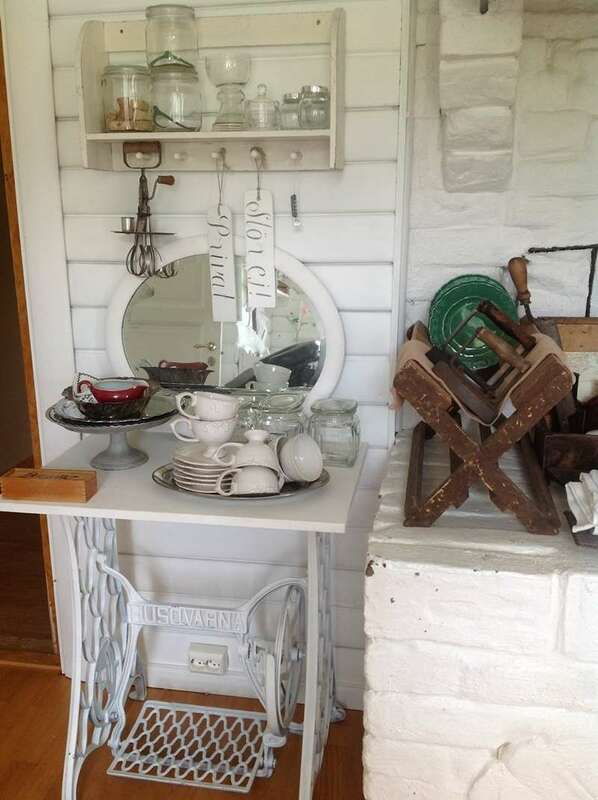 Zeevveez via Flickr has shared a project where a fantastic garden gate is created from an old sewing machine stand painted in gorgeous white color. 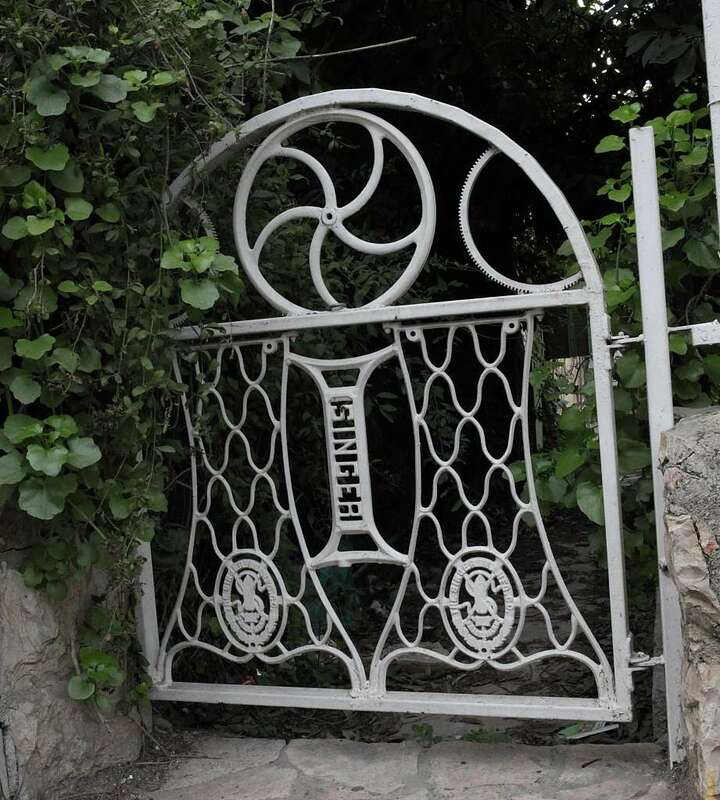 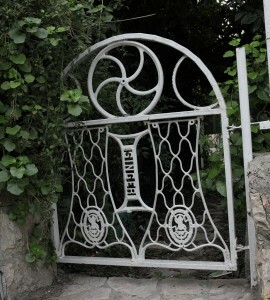 To maintain and embrace the beauty of the original stand the name of the Singer company can also be seen in the middle of the gate. 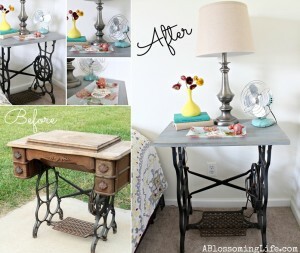 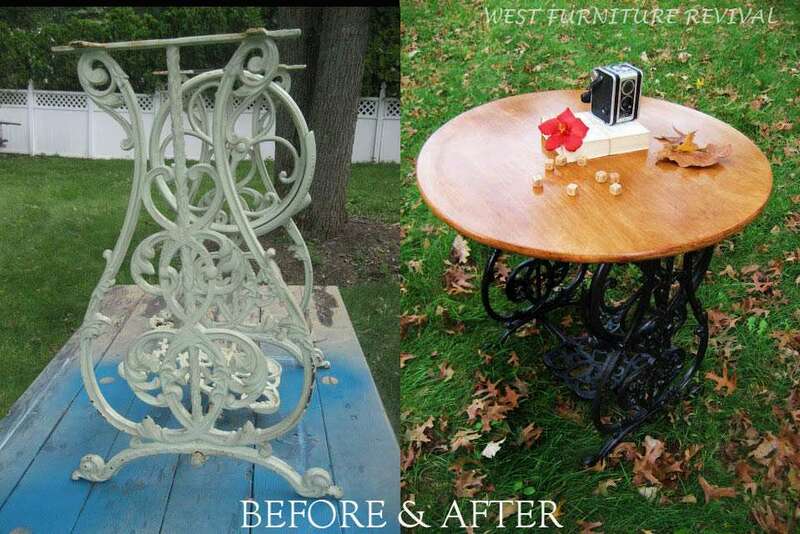 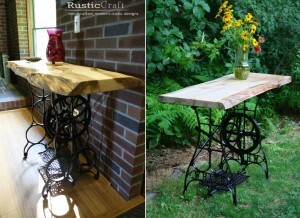 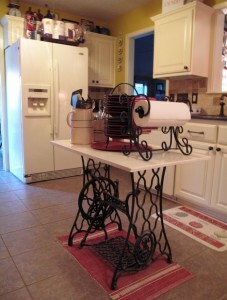 Lauren at West Furniture Revival Blog redoes pieces of furniture and this piece too she has created by taking an old coffee table top combined with an old sewing machine’s legs. 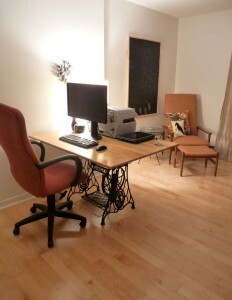 Tanya at Dans Le Lakehouse built this wonderful office desk with the help of her husband from an old sewing machine base and a desktop. 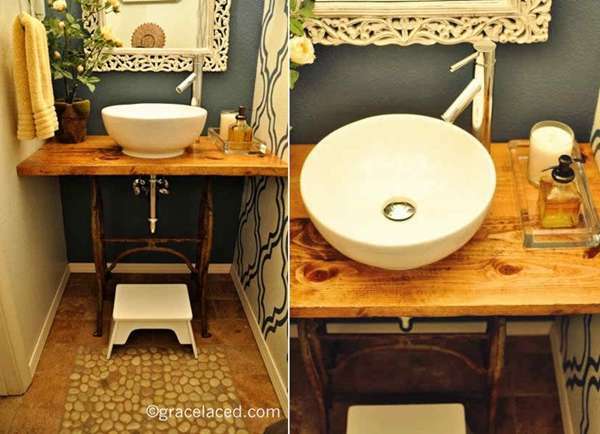 Ruth from Grace Laced created this wonderful vanity for her guest bathroom that is the center of focus of this whole bathroom remodel. 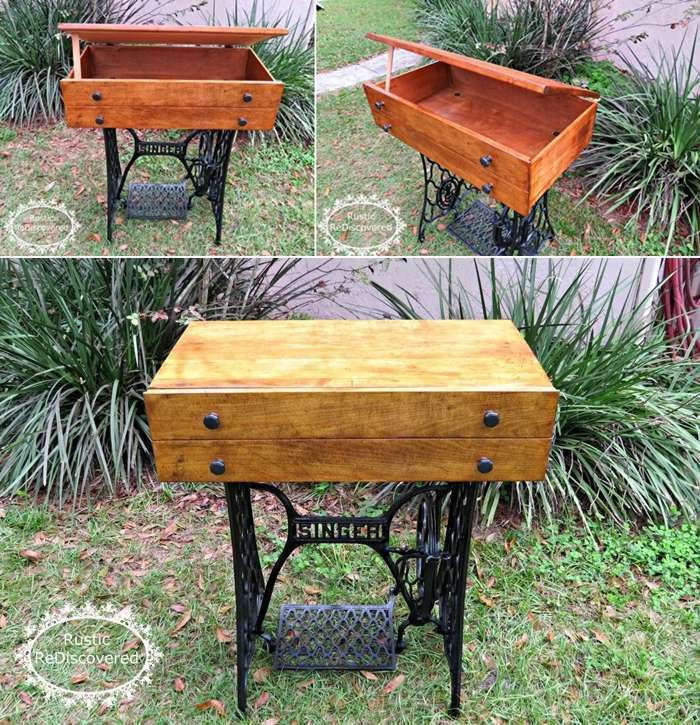 Rustic ReDiscovered created this practical storage table from a recycled sewing machine table base and an old dresser drawer. This storage table is a perfect example of a completely recycled piece of furniture. 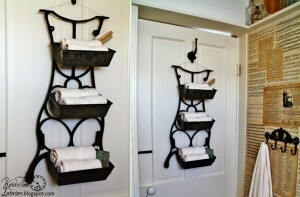 It can be easily placed anywhere where some amount of extra storage space is required. 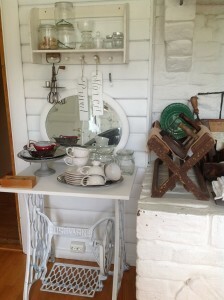 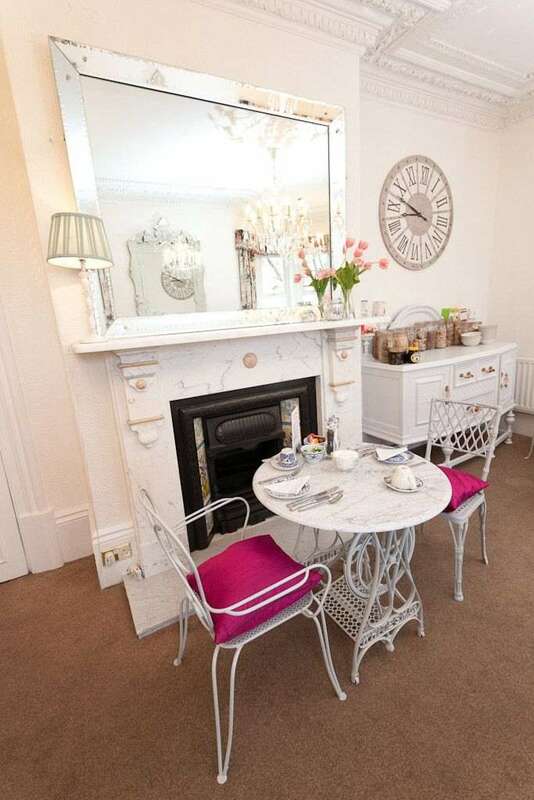 Moreover it is a great way to add a vintage feel too.